We get lots of queries from people who are heading off to Nepal for the first time to do an Annapurna trek or to go Everest trekking, as well as from those who’ve got the bug and are looking to go back for more. So, we thought we’d reveal the top five questions that come up time after time and share our answers with you in subsequent blog posts. 1. What is the best time of the year to trek to Everest Base Camp? 2. What is a typical day on trek like? 3. 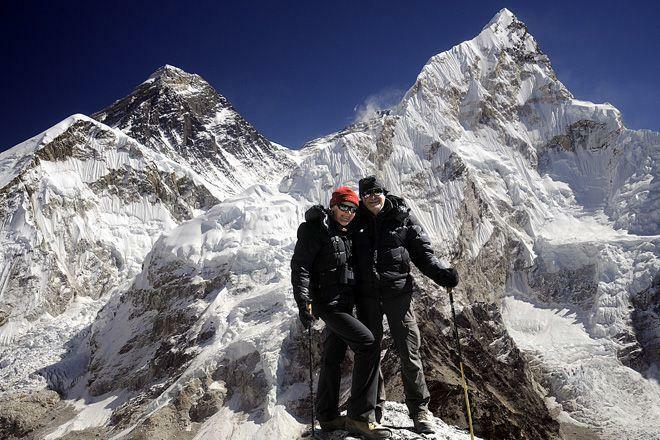 How fit do you need to be to go Everest trekking? 4. Can I do the Annapurna Circuit on my own? 5. I’ve done the Everest base camp trek, where should I go next? If you’ve got other questions though, don’t despair, just look back through our previous posts and you’ll probably find the answer.